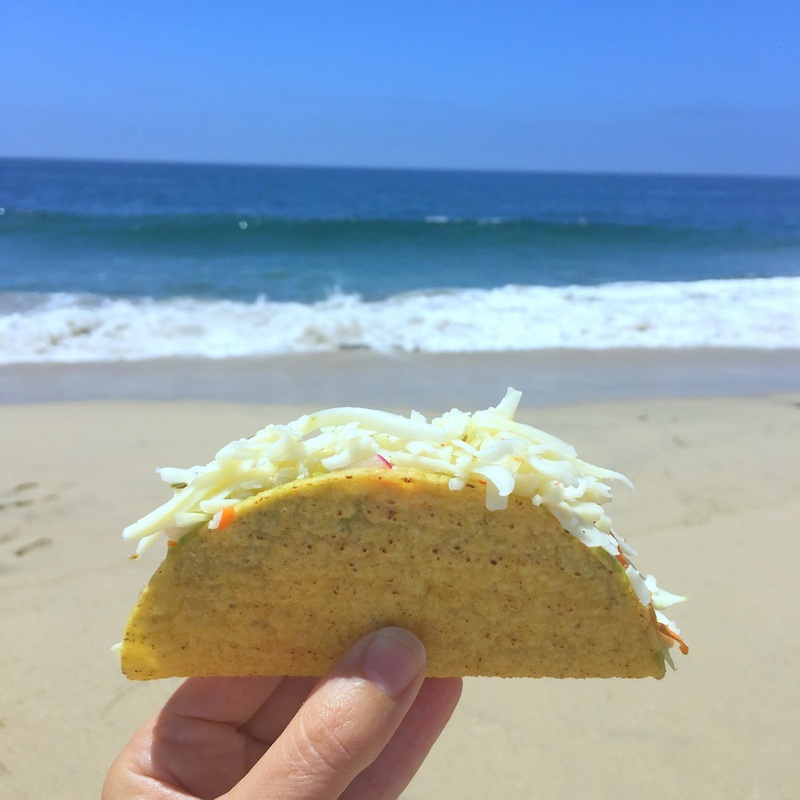 Nothing tastes better to me than a summer seaside taco! 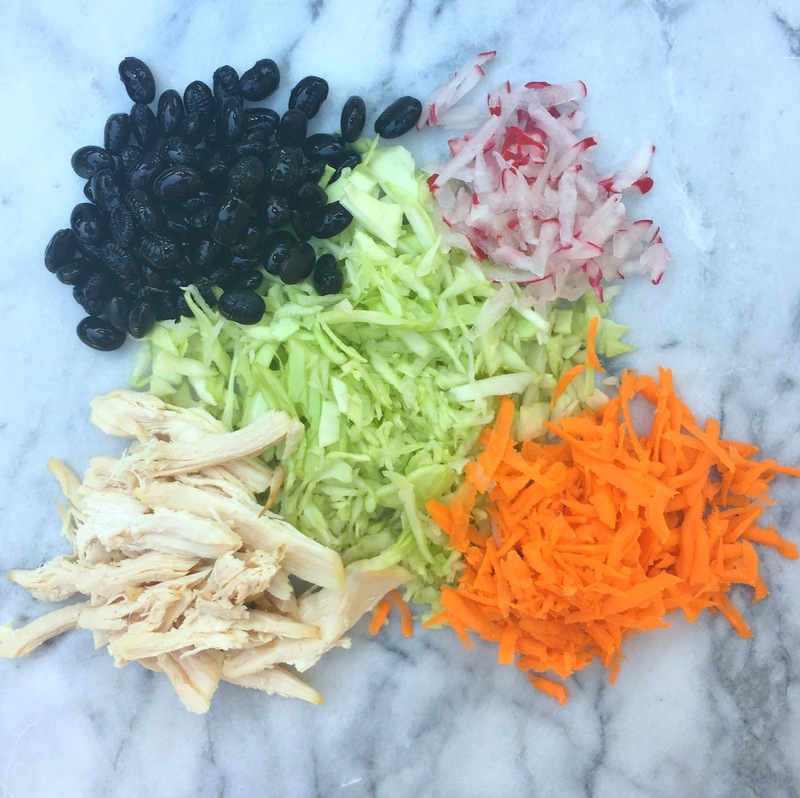 combined with the fresh and slightly spicy crunch of a taco. 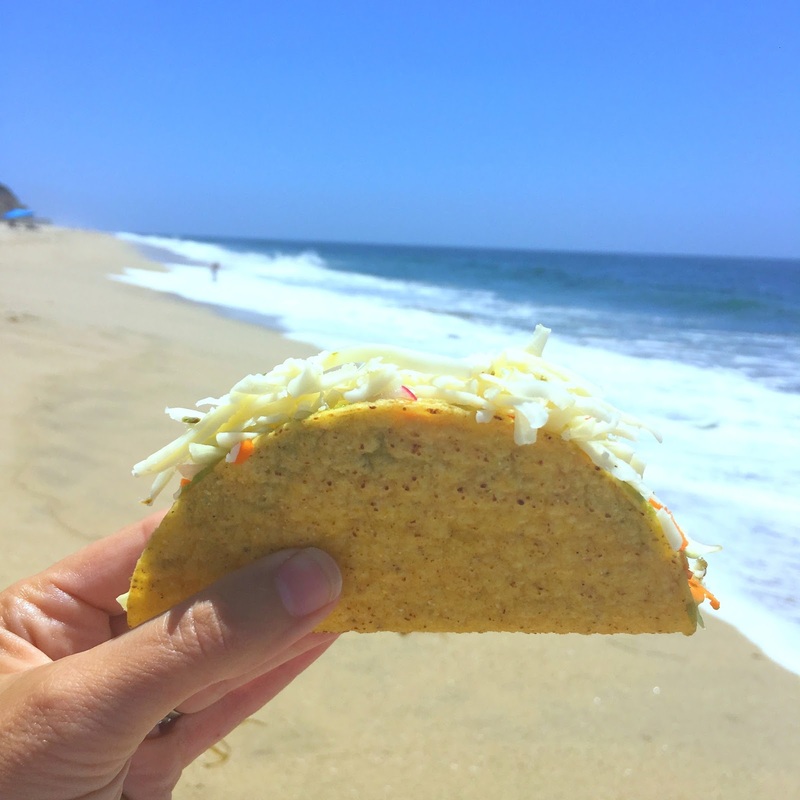 tacos ala playa we bring our own. 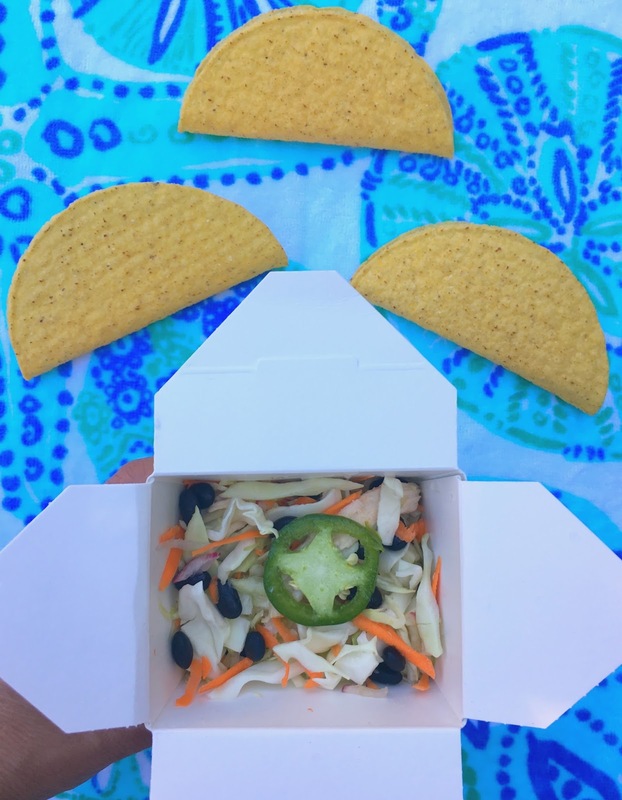 then stuff our crunch shells once we are ready to eat. Fill hard taco shells and top with shredded cheese (I like pepper jack), salsa, sliced jalapeños, guacamole and sour cream to your liking.